An Update on the Siberian dinosaur "Sibirosaurus"
A number of media outlets recently carried the story of the discovery of giant dinosaur fossil bones in Siberia. 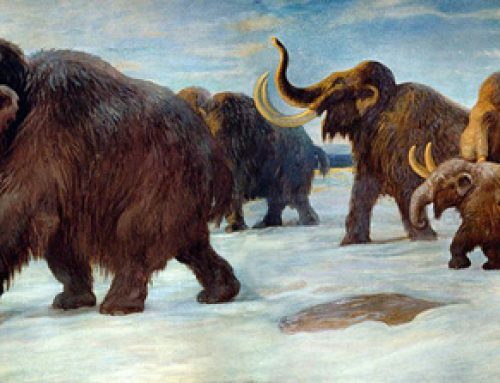 There were lurid headlines such as “terrifying newly discovered dinosaur was the size of eight elephants” and claims that the Siberian fossils represented one of the largest animals ever to have walked on Earth. Readers of this blog will note that we at Everything Dinosaur tend to try and avoid hyperbole and the dinosaur in question, most likely a new species of long-necked dinosaur (likely to be a Titanosauriform), had already featured in the weblog back in March 2015. The dinosaur has been given the nickname Sibirosaurus, but it has yet to be formally scientifically described. The Titanosauriforms are the largest single group of dinosaurs within the Macronaria, a clade of Sauropods united by their very large naris (nasal openings) in their skulls, which in a number of genera are actually much larger than the eye socket (orbit). An artist’s impression of a typical Macronarian dinosaur. A member of the lab team works on the fossil bones of a Macronarian dinosaur. The picture above shows one of the lab team members carefully removing the rock-hard matrix from a large bone (looks like a vertebra). Claims in a number of newspapers that the dinosaur is a heavy as eight elephants (estimated weight up to fifty tonnes) and that these fossils represent one of the largest land animals known are a little premature, although it probably does represent a new species. Dinosaur fossils have been found before in the sandstone rocks of the Kemerovo region of southern Siberia, but the fossils, in all probability do represent a species new to science. A photograph of the Siberian dinosaur fossil bone at the dig site. The research is being conducted by Tomsk State University, St Petersburg State University and the Zoological Institute of the Russian Academy of Sciences. A spokesperson from Everything Dinosaur commented that a formal research paper on this new dinosaur taxon will, in all likelihood be published next year. 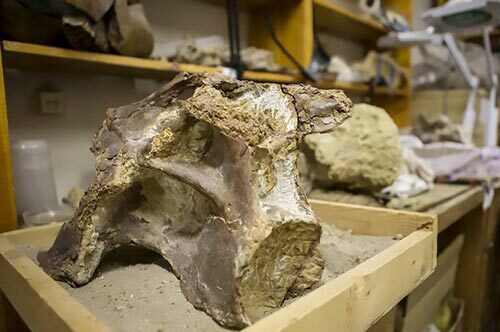 Work has already been completed on the sacrum and it is hoped that these fossils along with foot bones from a Titanosauriform found in 1995 and likely to belong to the same species, will go on public display. Fossils of “Sibirosaurus” ready for cataloguing.